Demonstrators dressed as prison inmates with their hands in mock handcuffs take part in a rally during International Human Rights Day in Tegucigalpa, Dec. 10, 2012. In 2015, Maine law enforcement arrested minors 3,547 times. While many of these arrests never led to a courtroom appearance, they all generated an arrest tracking number, marking the creation of a juvenile criminal record. In Maine, these paper trails can continue to affect people for the rest of their lives — even when they believe the documents are blocked from public view. Unlike many other states and contrary to popular belief, Maine does not automatically seal the juvenile criminal records of young people when they turn 18. Leaving these documents open by default means that youthful lapses in judgment can follow a young Mainer into their adult lives and fetter efforts to find work, get an education or secure housing, according to a new report from the University of Southern Maine’s Muskie School of Public Service. Pervasive confusion about the process, even among those who administer it, means juvenile records are infrequently sealed in Maine, the report found. And the messy records system can make it hard for people to move past crimes committed when they were young, according to the authors, USM researchers Susan Hawes and Erica King. “There are clear collateral consequences and continued punishment that comes just because of their juvenile record,” Hawes said in an interview. While most juvenile misdemeanors are confidential in Maine, records of felony-level offenses are public and remain so unless the person persuades a judge to seal them. 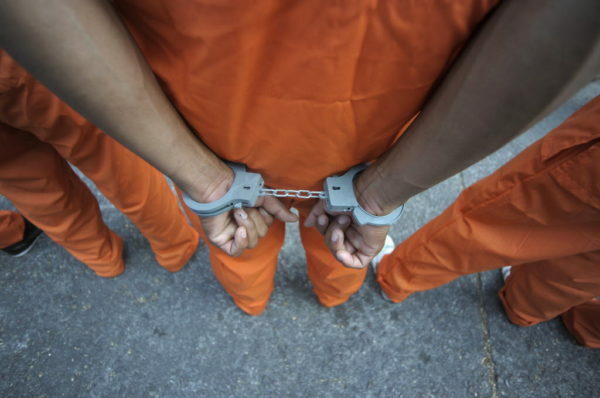 Criminal justice reform advocates on the left and right have in recent years contended that treating a criminal history as a black mark undercuts the rehabilitative goal of the corrections system. With national campaigns such as “ban the box,” they’ve pushed companies to stop asking job applicants about their criminal histories. And while massive businesses including Koch Industries, Wal-Mart, Target and Home Depot have signed on, many employers, banks and landlords still look at these records. Maine is one of 24 states where juvenile felony records are never automatically sealed, but the Muskie report found that many Mainers — including some who work in criminal justice — believe the opposite to be true. This confusion is driven by a set of messy juvenile records statutes and the inconsistent way that “sealed” is used in Maine’s criminal justice system, said Christine Thibeault, who has headed the Cumberland County District Attorney’s juvenile unit since 1996. In Maine, juvenile records can only be sealed by a judge after a person goes through the sometimes long and costly process of petitioning the court. Although they remain available to the courts and law enforcement, once sealed the records won’t show up on a standard criminal background check and legally don’t need to be disclosed even if a person is asked by a potential employer or landlord. “Essentially, it’s a license to lie,” Thibeault, who was involved in researching the Muskie report, said. Under Maine law, “sealed” and “confidential” records are not the same thing — the second designation being open to some people and institutions — but court clerks frequently conflate the two, according to the report, which is based on focus groups, surveys and interviews with more than 200 people, including past and present juvenile prisoners, their families, defense lawyers and various state employees. The report recounts the experience of a man referred to as Ryan, who spent five years unable to get stable work after his juvenile record was supposedly sealed. Recently, after losing a job fixing computers for the state, Ryan called a court clerk who told him his record was sealed. But when Ryan, whose real name was withheld, insisted it wasn’t, the clerk took another look and eventually realized the court never actually sealed the documents. “We didn’t realize we had to go submit to have it sealed,” the clerk is reported to have said. Thibeault brought up that same incident but declined to say which court it happened in because she didn’t want to single out someone for a problem common in Maine’s justice system. Ten of the 17 court clerks surveyed for the Muskie report incorrectly said that all juvenile records in Maine are automatically sealed. “I believe there are people who are missing out on opportunities because of this, but it’s difficult to measure,” Thibeault said. One place where a juvenile record might affect a young person’s prospects is in the military. “Seventy percent of 17- to 24-year-olds are ineligible for military service,” according to Brig. Gen. Douglas Farnham, adjutant general for the Maine National Guard and commissioner of the Maine Department of Defense, Veterans and Emergency Management. This is partially because of police records, Farnham said. Criminal background checks are also used by landlords, banks and employers. In Maine they often return inconsistent results and sometimes include things such as arrest records that they seemingly shouldn’t, Hawes said. The example of a young person with a criminal record looking to join the military highlights how balancing the public’s right to know with a juvenile’s right to privacy becomes difficult, Thibeault said. Automatic sealing of youth records may create difficulties for a military recruiter rightly concerned with whether someone has a violent criminal history, she said. The prosecutor also said, however, that Maine has missed the “sweet spot” in balancing public safety and privacy. She stressed the need to educate lawyers, judges and people in the corrections system on how the records actually work. King likewise said there is a clear lesson for parents in the confusion over how private Maine’s juvenile records are: A brush with the law may mark their child indelibly. A panel discussion about the Muskie report is scheduled for 4:45 p.m. Thursday at the University of Maine School of Law at 246 Deering Ave. in Portland.